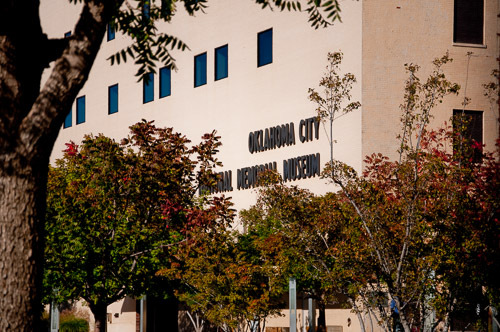 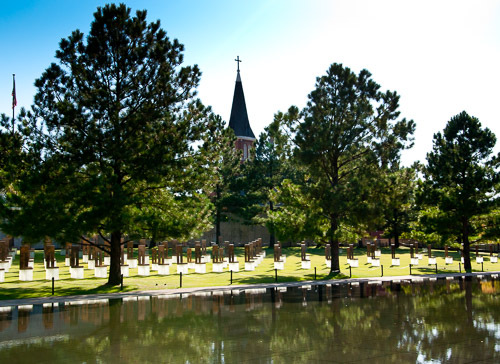 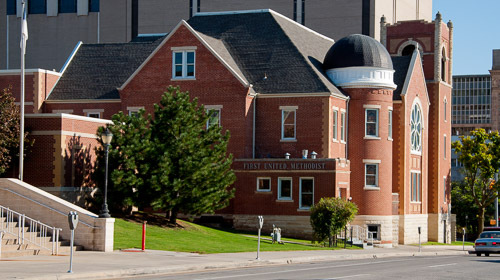 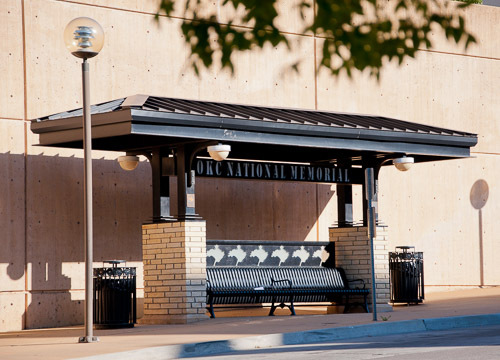 OK City Memorial - Photographs-Now, Inc. 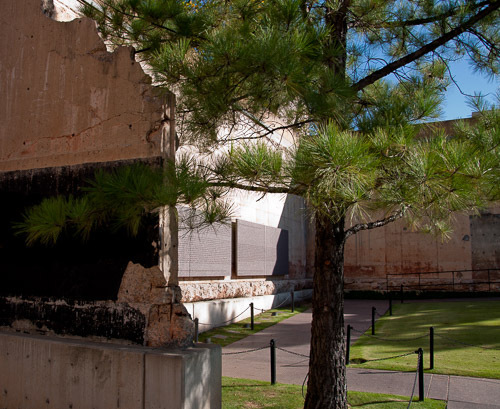 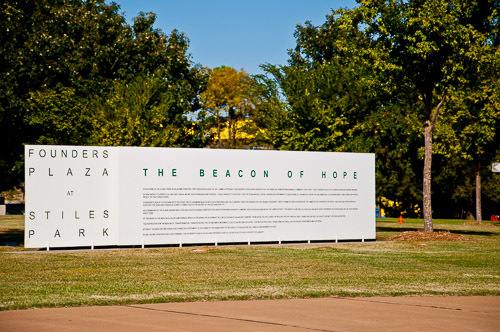 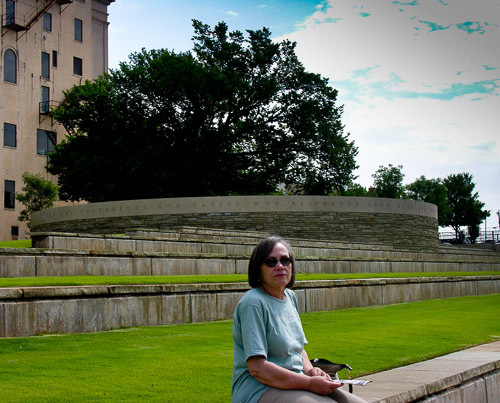 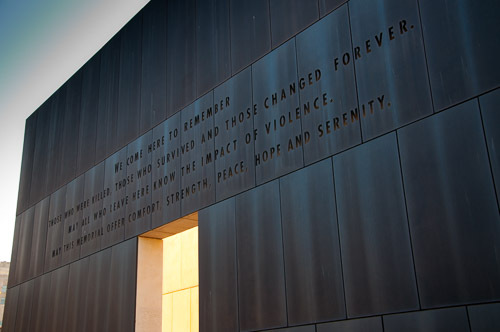 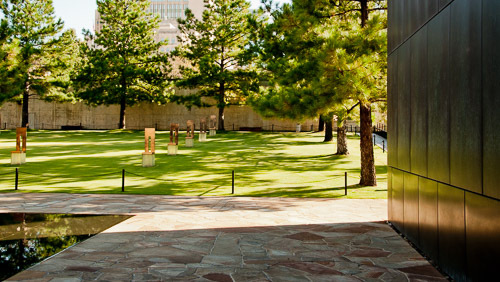 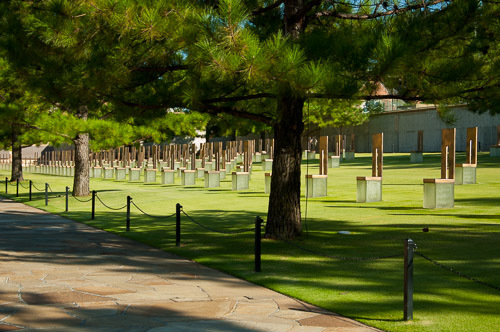 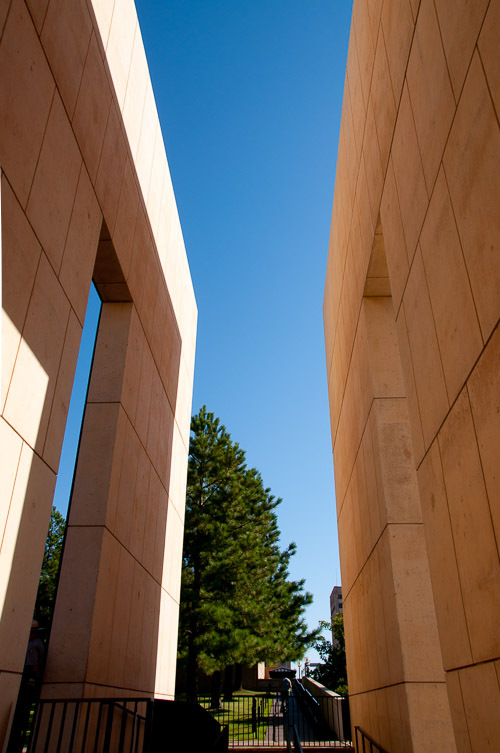 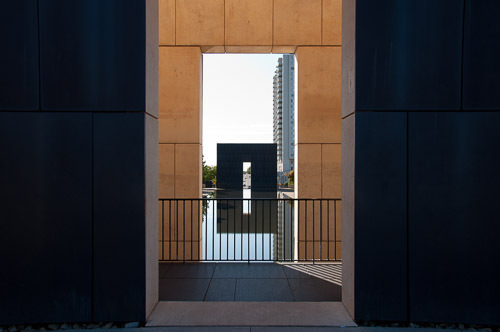 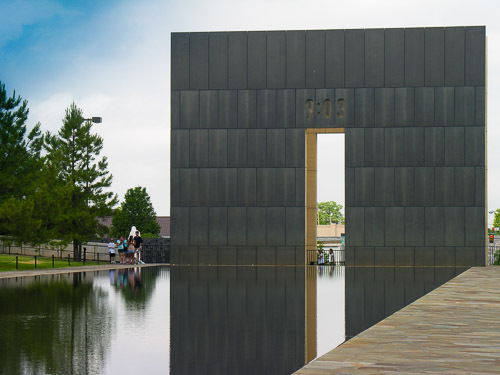 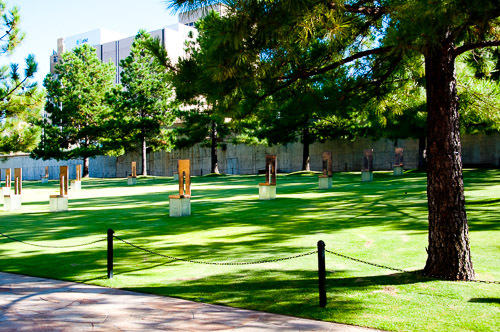 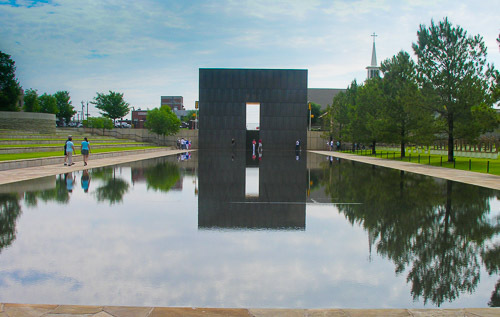 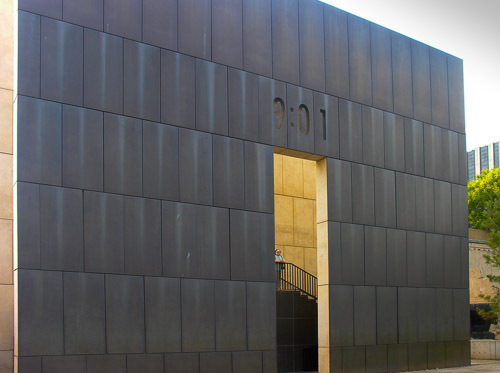 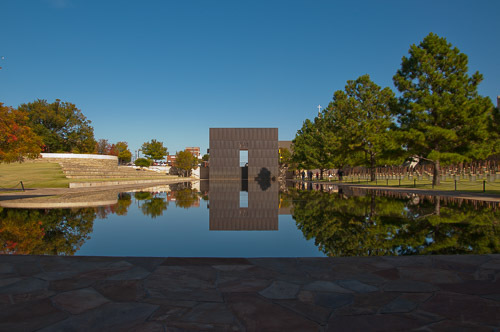 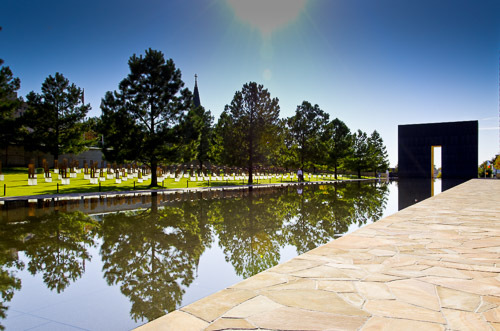 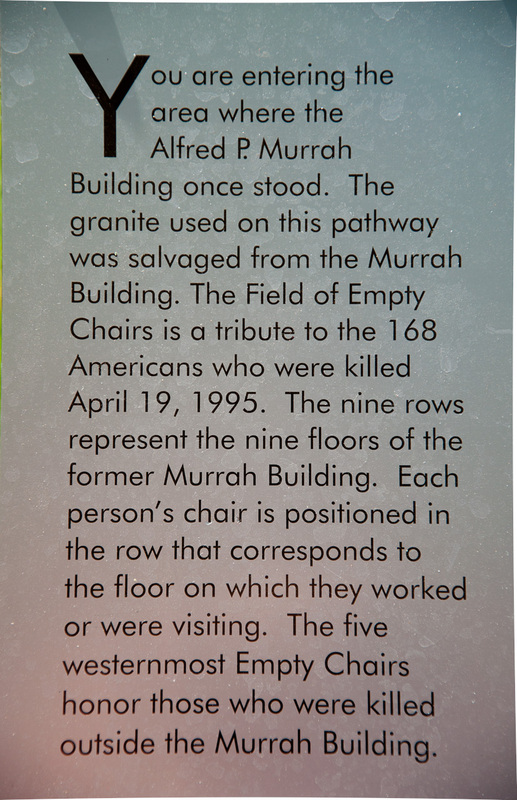 These photos were taken at the Alfred P Murrah Federal Building site in Oklahoma City. 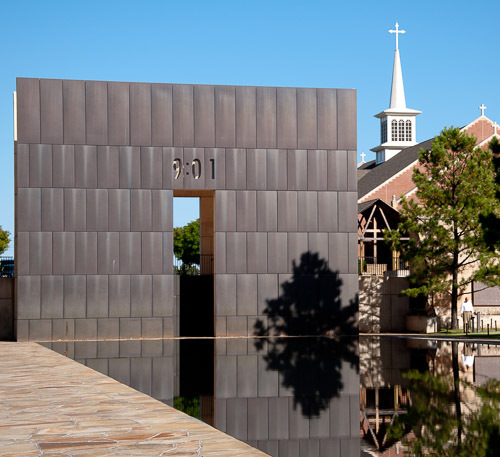 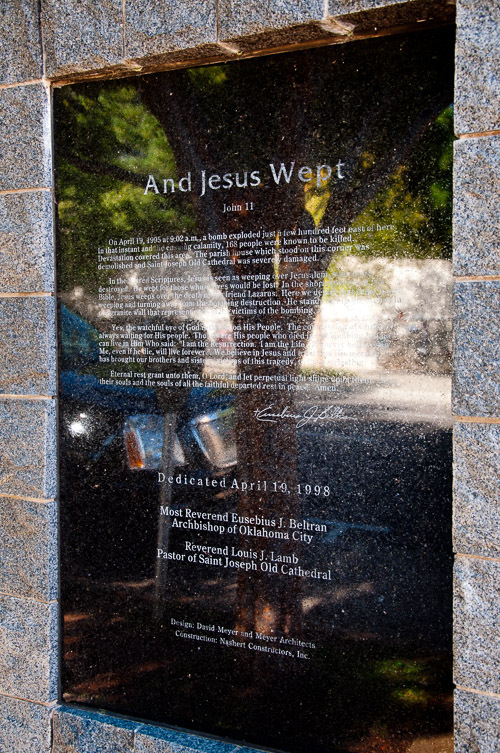 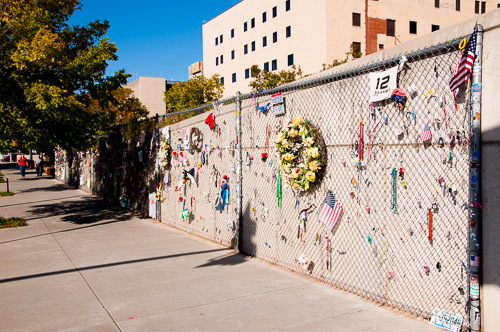 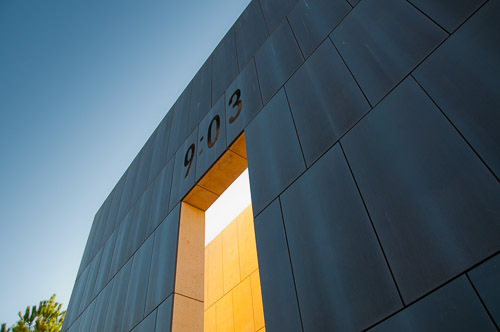 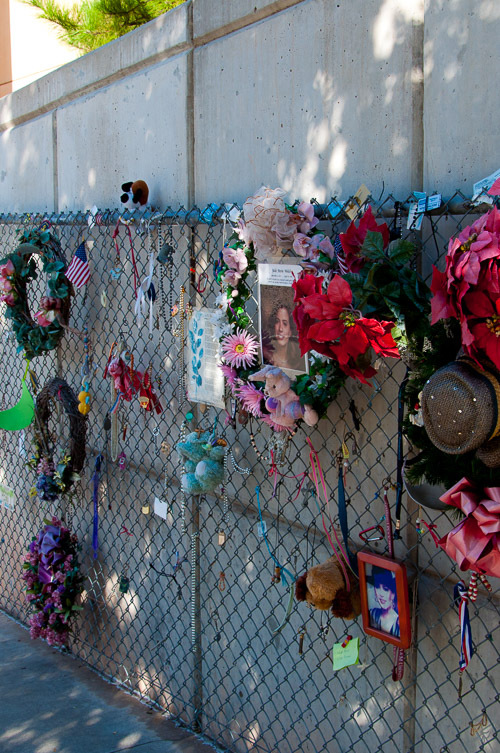 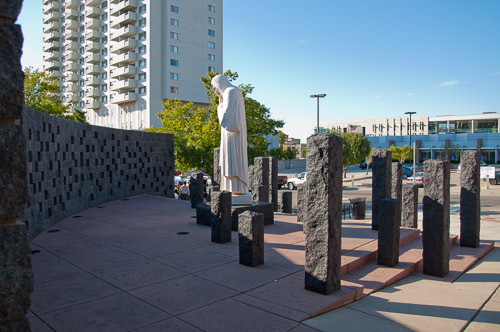 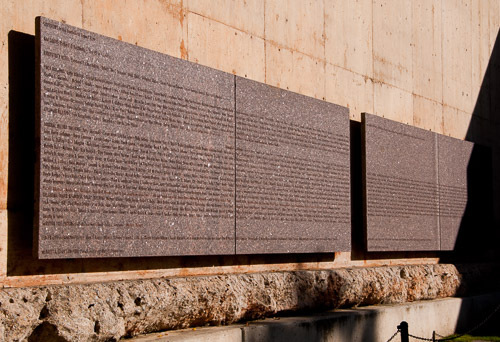 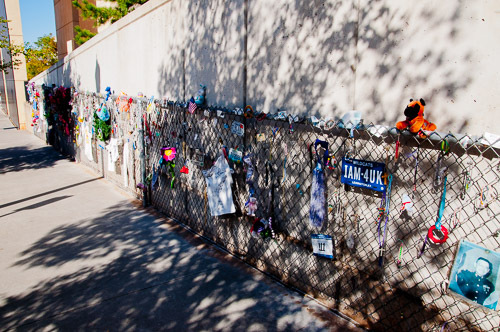 On April 19, 1995, 168 people were killed when a domestic terrorist bombed the building. 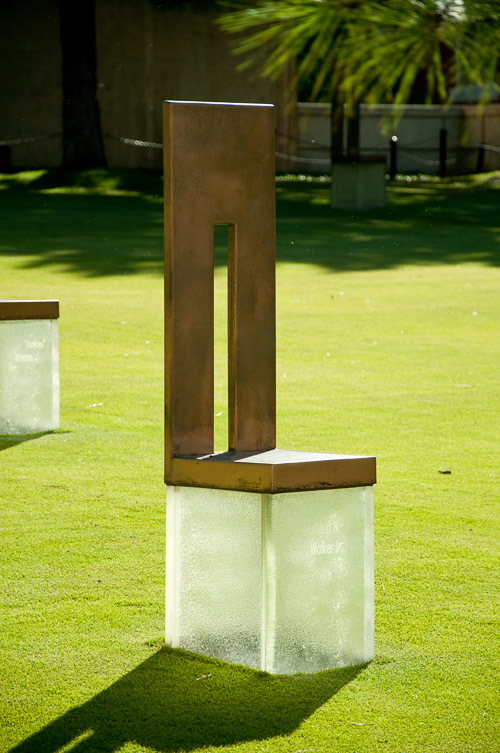 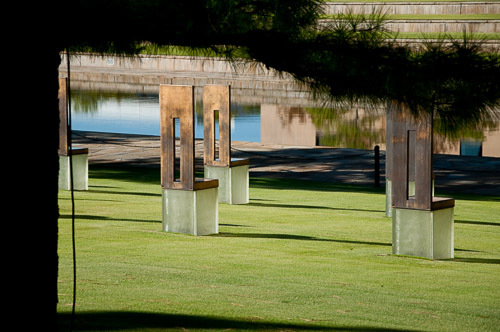 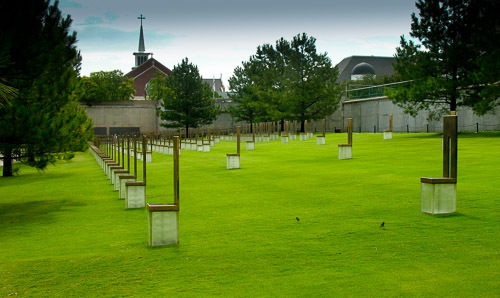 The field of empty chairs represent those killed. 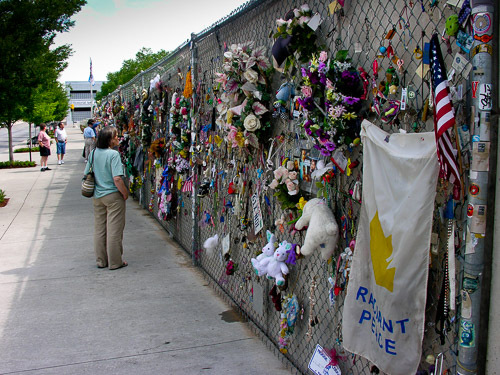 While the site is very peaceful, it is sad and humbling to visit.